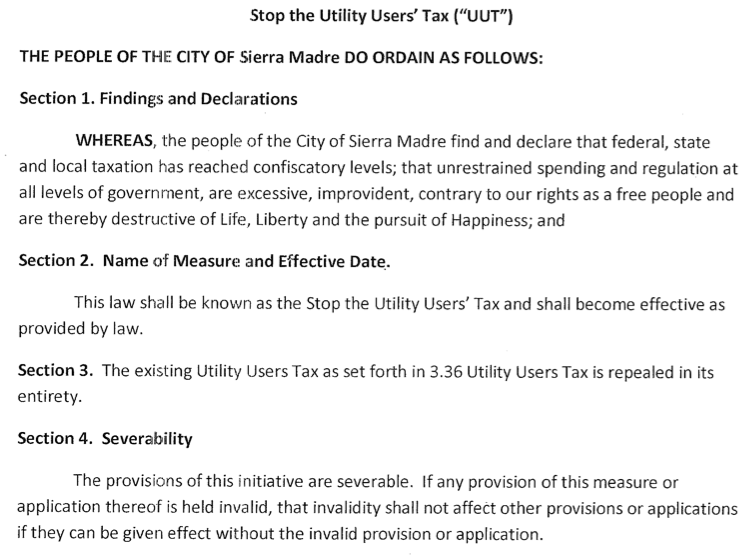 Every two years City Hall attempts to raise utility taxes in Sierra Madre. We're talking about 2012, 2014 and, when Mayor Harabedian gets his way, 2016. A kangaroo straight of UUT raising futility. No matter what, every even numbered year utility tax hikes go right back on the ballot. It is kind of sad, really. No matter how many times the residents try and make their NO vote on utility tax increases stick, City Hall just ignores these decisions of the people and tries all over again. I'm not sure the city really cares what the taxpayers think, or even attempts to work within the budgets that those who actually pay for everything around here have given them. They just go back to the drawing board and come up with ridiculous new ways to ask for more money. Its become a full-time job. And people ask me why I keep doing this blog. How would I ever replace you guys? Yesterday our friend Earl Richey and two of his tax fighting pals began the process of putting the complete abolition of all Sierra Madre utility taxes on the ballot. Here is how the purpose and intention of this effort is described in a document they presented to City Clerk Nancy Shollenburger. Here is how I see this playing out. 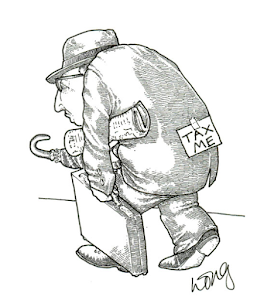 Mayor John Harabedian, along with that lapsed fab foe of high utility taxes, Mayor Pro Tem John Capoccia, will plop their tax increase UUT measure on the ballot at the same time Earl Richey puts his there. The purpose being to play off Earl's efforts for what they are probably correctly assuming will be a political advantage. Earl's UUT busting measure will give the Two Johns an opportunity to try and proclaim themselves the sweet voices of reason in this matter. That along with all of the other substance-lite nonsense they're always so eager to share. But do you know what? You don't have to get sucked into any of that. There are actually three options here, not two. No matter what anyone tries to tell or sell you. 1) The Harabedian-Capoccia Option: Vote to increase utility taxes to 8% (or 9%) from the 6% the voters approved in 2012 and 2014. 2) The Earl Richey Option: Vote to get rid of utility taxes altogether and send City Hall packing. 3) The Third Option: Vote NO on both Option 1 and Option 2. That way utility taxes will still return to the 6% you voted for in 2012 and 2014. After all, you really did mean 6% when you voted NO in the previous two elections, right? So why would you want to change that now? Yesterday was an enjoyable Sunday because I got to spend a little time basking in the warm wifi of a beloved local coffee shop researching some of the more recent and beneficial Sierra Madre water use ordinances. Ordinances that I think are just great. Particularly those having something to do with the non-issuance of new water meters for the sorts of unhappy projects certain people would like to build at such bucolic locales as the Monastery and Stone House sites. The good news here being that while the drought might be a first rate natural disaster, it does have a distinctly slow growth bias. And would you like to know what's up with all that? In particular the effect it is going to have on certain large housing development projects here in Sierra Madre? From what I can tell it certainly does appear like these developers are screwed. In a big and possibly even irreversible kind of way. The necessary background is this. The water levels in Sierra Madre's at-risk wells continue to drop. Despite the fact that most of our water is being piped in from the Chlorameanies at the SGVMWD, and this is supposedly the rainy season. Back when the weather behaved as we thought it always would, this was the time of year when wells and aquifers would be replenished to the point where there would be adequate water to get The Foothill Village through the rest of the year. Including those summer and fall dry seasons. As we all know, it doesn't happen like that anymore. What this means is that Sierra Madre's waterless water company will not have adequate supplies for a long time. City Hall has estimated that this period of liquid insolvency could last for seven years, or the length of bad luck you could suffer if you broke a mirror. And that is only if it starts to rain again some time fairly soon. If it doesn't? Then all bets are off. So here is what my coffee shop research turned up. 1. June 24, 2014 Staff Report - This one goes into detail on the specifics of both the Water Code and Government Code moratoriums. Here is an overview. 2. July 8, 2014 Staff Report - this was the night the City Council voted in Phase III of the Water Conservation Policy, Ordinance 1357U and Ordinance 1356U. 3. Ordinance No. 1357U - This is the Government Code for the celebrated two year building moratorium that includes no new water connections. But as good as 1357U might be, it is the next one that could easily cripple any attempts to start building at the Monastery and Stone House, and for quite a few years. 4. Ordinance No. 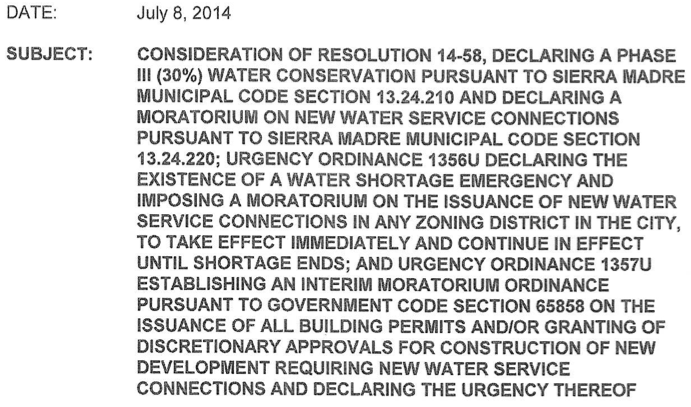 1356U - Water Code - Moratorium on new water meters, which is in effect until Sierra Madre's water supply has returned to normal. You get that? 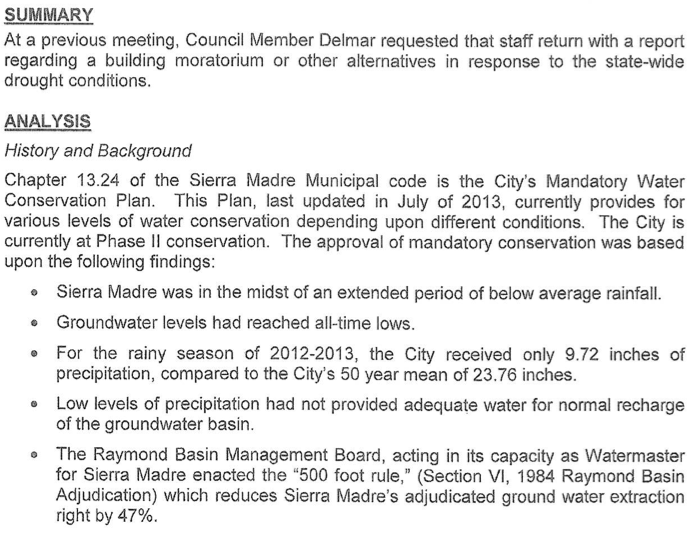 And will Sierra Madre's water supply ever return to normal? Do we even know what normal is anymore? 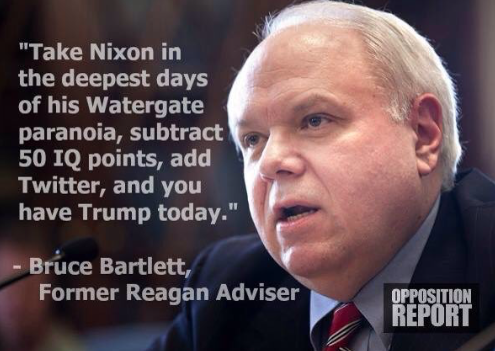 It could be that this has been going on for so long now nobody even remembers. On July 8, 2014 the City Council voted in Phase III of the Water Conservation Policy, ordinances 1357U and 1356U. As the drought continues, and our water well supplies continue to drop even further like they did last month, you can easily draw you own conclusions about when any development will finally begin at the Monastery and Stone House. All the signs point to that being a long long time away. We all know how unhappy some folks are with the city for imposing fines for water overuse, especially with the yellow water problems. 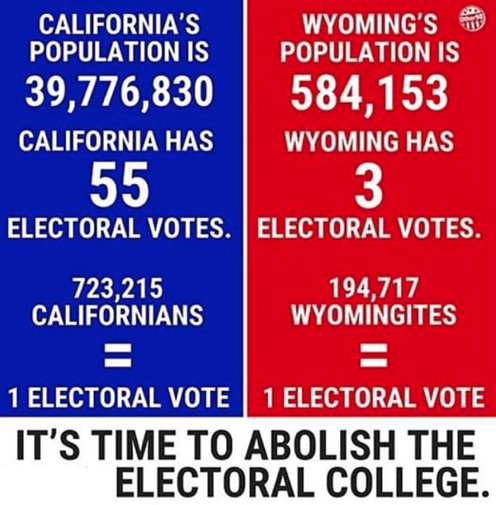 But many of them are the same folks who want to keep the water moratoriums in place. However, there is this problem. The city needs to be able to show the world that it takes this drought seriously, and one way to do that is imposing fines on water hogs. 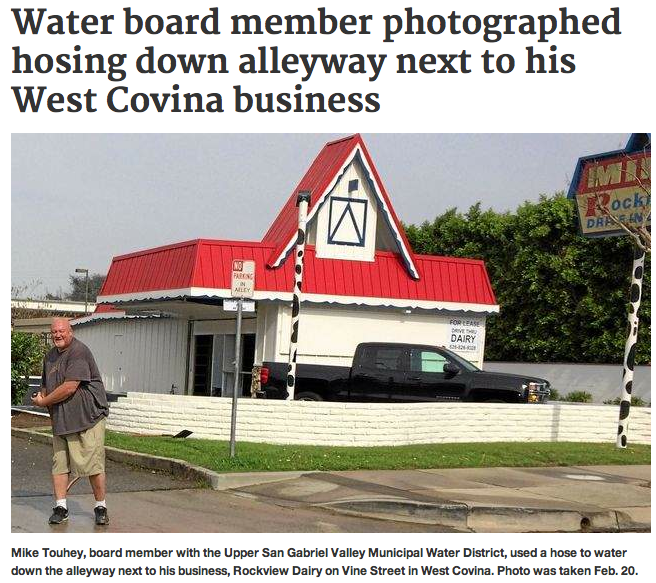 Because you know that sooner or later one or both of the developers mentioned above will be pounding on some Superior Court door, claiming there is no "water emergency" in Sierra Madre. Their claim being based on the huge amounts of water being used to water lawns, and at all hours of the day. And if City Hall hasn't done anything to curb the over usage of some of our more carefree residents, then how will they justify not allowing developers to build at places like the Monastery because there isn't any water? If you were to read the Mountain Views News this weekend, you might think that City Hall was responding to a post we made last week about yellow water and the danger to children from nitrification. Something that arrives with the increased heat of summer. Of course, the MVN article in question is actually a word for word regurgitation of something that was issued Friday as part of the City Manager's report, so we're going to quote from that instead. The rule of thumb at The Tattler being that if you're going cite something, you should always go with the original content source. Why even mess with the cut and paste "journalism" of people who can't write their own articles? Yellow water is on people's minds again. Gary Hood brought in jars of San Gabriel Valley Municipal Water District Gold for those seated at the dais to check out. Despite assurances from the folks in the Water Department that this problem had been fixed, water is obviously still yellow for some in town. 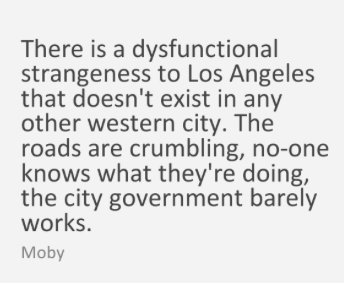 Nobody seems to have heard too much from the consultant hired by the city lately, either. Perhaps Dr. Hélène Baribeau is concentrating her vast energies on spending the $50,000 she was given to solve these problems? Remember, it was just a year ago that people (including even City Hall) were talking about topics like Nitrification and something called "Blue Baby Syndrome." We wrote about that three times here last June. It was a big deal. Spring is the time of year when the nitrification of our water can begin to become a problem. When warmer temperatures, along with the chloramine-rich water pumped into this city by our substitute supplier, mix it up in some of the more low flow rusted out pipes in town, rather awful things can happen. In other words, after months of telling residents that the water quality had gotten better, and then inappropriately taking credit for it, the Sierra Madre Water Department still said nothing about problems that would soon be returning once the weather got warmer. Which it has, and unseasonably early this year. You can only wonder what 90 degree temperatures in March are going to mean when July and August roll around. Then lo and behold, and right after our report, City Hall broke its silence and began talking about yellow water. It had to have been a coincidence, right? This from Friday's City Manager's report, which also showed up on the front page of the Mountain Views News on Saturday with little additional comment. Dr. Helene Baribeau, under contract to the City has two concurrent studies under way on our behalf. The first, a pilot corrosion test is designed to determine the best long-term treatment for the imported MWD water to eliminate corrosion-related water discoloration and odor. The second study is to assess the possibility for the city to blend its own free-chlorinated well water with the chloraminated MWD water without reaching chlorine breakpoint, the resulting disinfection by-products (trihalomethanes, THM4; and haloacetic acids, HAA5) that are likely to be found should breakpoint chlorination occur, and to provide recommendations. Procurement of test rack materials and fabrication of the test racks took a good deal longer than expected, particularly due to delays in receiving the mild steel test “coupons,” in designing a stand-alone water supply system for the test racks, and in stabilizing water flows through the test racks. The corrosion testing is now under way, with test coupons having been immersed in the subject waters and treatment types for over a month. Because corrosion is a slow process, the testing is as well. The first analysis of this testing is scheduled for April 6, 2015. The final of eight analysis is scheduled for July 13th. However Dr. Baribeau has indicated that she should be able to provide the city a preliminary report in June, based on some of the early coupon tests that will occur in May. The study of blending MWD water with the City’s well water has only recently been implemented. The actual sample testing will begin March 30, with completion of that phase of the work by April 6. Analytical results will be obtained almost immediately on April 6th, for everything but disinfection by- products. The DBP analysis requires 2 weeks, which will set the likely release of a draft report for the first week in May. At this point, from discussions with Dr. Baribeau staff is not confident that a workable blending plan can be developed. However, the study will also touch on the possibility of chloramination of the city’s well water, which would allow for blending the two sources. Now that sounds all in charge and proactive, but does it actually gibe with what we'd been hearing over the last several months? 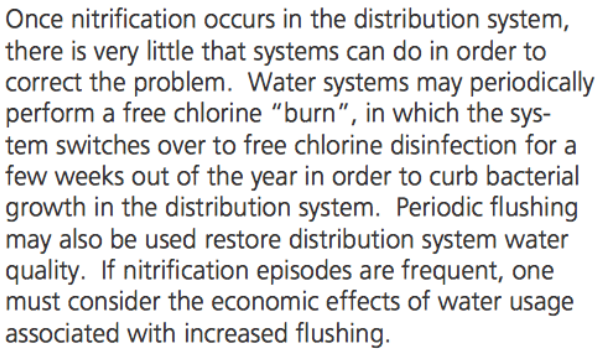 That being the city's yellow water problem was under control, and Bruce Inman hadn't heard of any new complaints? No new complaints in Bruce-speak meaning things are just hunky dory. The actual reason for the change is weather is cooler in the winter, and that means nitrification is not as much a factor. Yellow water and its many associated ills really gets rolling once the weather warms up. Something that City Hall knew all along, but instead preferred to take credit for something they didn't have all that much to do with. So suddenly we're back at square one. Which, despite everything we've been hearing these last few months, the Water Department never actually moved from. Rather we were told what they thought we wanted to hear. Are you ready for UUT #3? The Mountain Views News seems to be Mayor Harabedian's own personal agenda publicity platform. And now that he has decided to try his hand at raising utility taxes in Sierra Madre (boldly following in the footsteps of his illustrious tax happy predecessors, Josh Moran and Cha Cha Walsh), what better place to try out his passive-aggressive approach to tax advocacy? 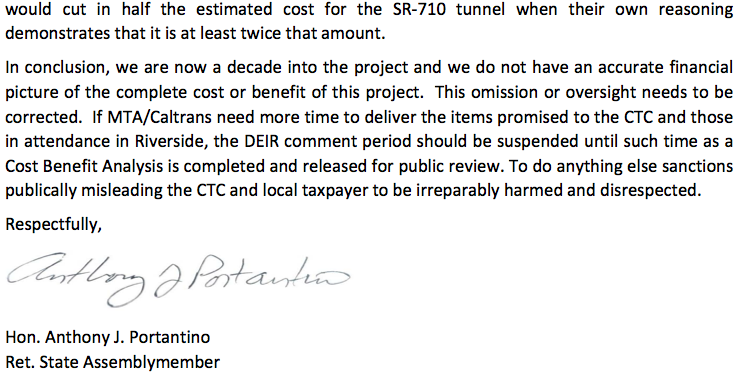 Here is how the Mayor had Susan Henderson prepare and publish his tax hike pitch. Two things that immediately jump out. 1) How can City Hall claim not to know how taxpayers here really feel about utility tax increases after they voted two times in a row to reject them? Was there a hidden message in that somewhere? Does NO actually mean YES in the enchanted land of tax increaser double-speak? 2) It is not the responsibility of the tax paying residents of Sierra Madre to come up with ways for City Hall to live within its budgets. That is what city employees are being paid to do. It is their job. But, quite obviously, this is hardly what these proposed "organization meetings" are really all about. 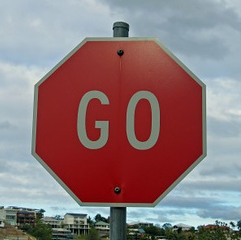 Rather they are part of a passive-aggressive marketing strategy designed to promote a substantial utility tax increase. Just say no. Again. For the third time. City Council Candidate Tyron Hampton: Pasadena Weekly Columnist André Coleman "Asked Me To Give Him Money"
Some background in case you are not aware. André Coleman writes the government and politics affairs column for a not entirely influential "alternative media" publication called the Pasadena Weekly. Though in some circles in Pasadena he is regarded as something of an authority on these matters. You shouldn't describe the publication as marginal however, or at least in front of them. They do have a high opinion of their political importance. This ironically in a city where only about 15% of the eligible residents even bother to vote in local elections. And it is during elections such as the current District 1 Pasadena City Council runoff race that the Pasadena Weekly tries its hardest to show how significant a force they can be. But the question that needs to be asked now is to what purpose? André Coleman has been accused in the past of being strictly a partisan player, and that in his Pasadena Weekly writings he heavily privileges candidates he supports. Long time PUSD Board of Education stalwarts such as Renatta Cooper, Tom Selinske and Ed Honowitz being examples of people who, while in office, could do no wrong in André Coleman's eyes. 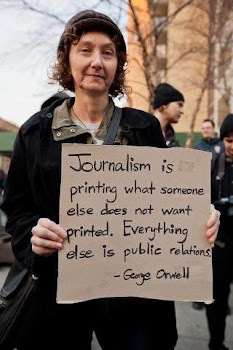 But can it be that André has been selling his journalistic influence? Asking for cash payoffs in exchange for favorable mentions? 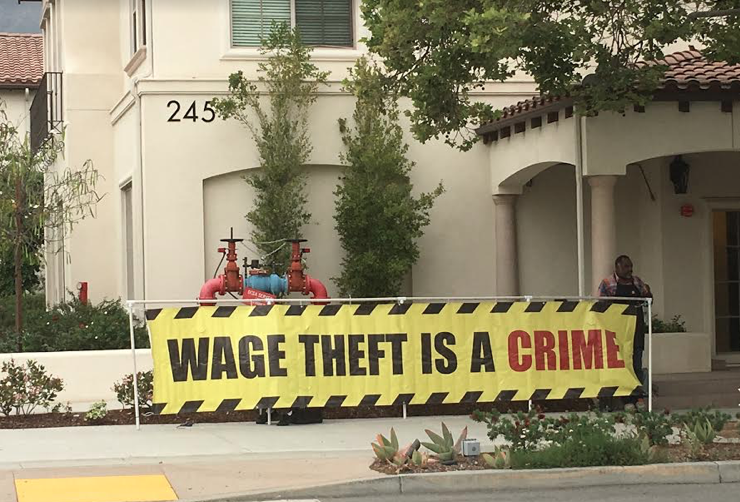 Can it be that the editorial opinions of Pasadena's "alternative" weekly newspaper are for sale, and if you don't pay up you will be attacked? The runoff in the District 1 Pasadena City Council fight between former Fire Chief Calvin Wells and current Board of Education member Tyron Hampton has turned increasingly ugly. With Coleman's column being a launching pad for much of that unpleasantness. The dirt in this instance being aimed exclusively at Hampton. The Coleman column referred to by the Hampton campaign is currently up on the Pasadena Weekly website (link). The major accusation in this case being, believe it or not, campaign yard sign theft. 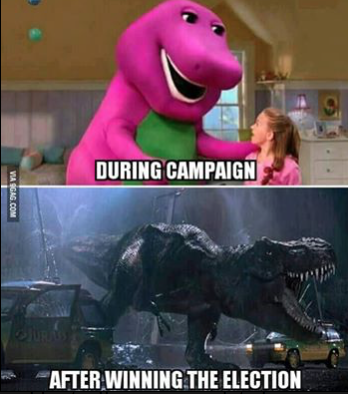 Pretty much a garden variety gripe in any local political race. What candidate has ever not suspected his opponent of stealing yard signs? After all, there never does seem to be enough of them. This is not the first time Hampton has found himself at the center of controversy. Last year, he requested the Pasadena Unified School District pay someone to help him perform his duties. Hampton suffers from learning disabilities that limit his ability to read and write and needs someone to help him read reports and issue written statements. You would hope that in the year 2015 those suffering from dyslexia or any other similar disability would not be subjected to this level of lightly veiled bigotry. Especially in an alternative paper that fancies itself as being the epitome of inclusiveness. 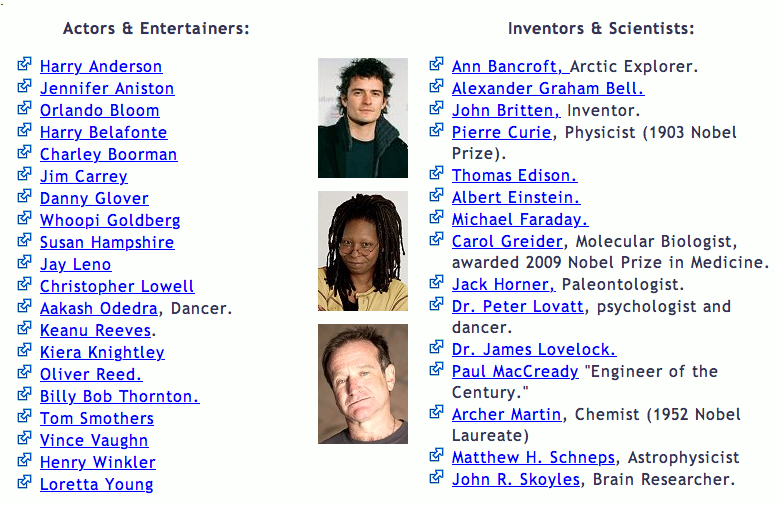 This list of folks on the "Famous People with the Gift of Dyslexia" website is far longer than what I've shared here. You should go and check out the whole thing. 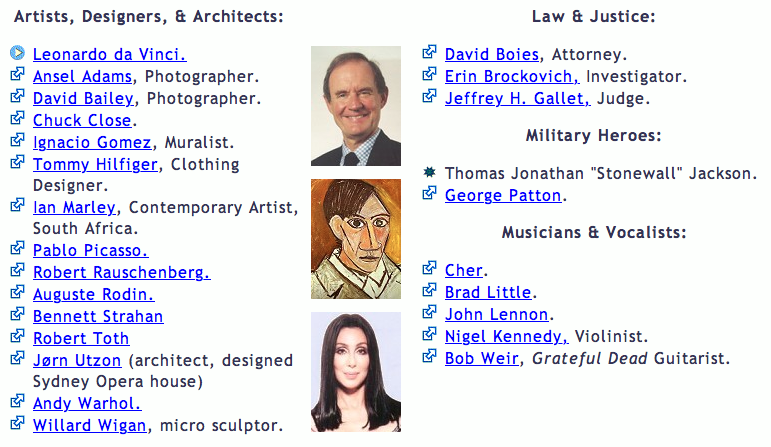 And seriously, when you're a part of something that includes Albert Einstein and Leonardo DaVinci (not to mention Cher), you're in rather solid company. So is that what your money allegedly buys you at the Pasadena Weekly? Stigmatizing people with disabilities? The council voted to enact immediate laws that would restrict the size of dwellings in 14 neighborhoods in Los Angeles. In the Valley, the law will apply to Old Granada Hills and Valley Village. Community groups contend builders are using loopholes in the 2008 Baseline Mansionization Act to erect homes that are out of character with the size and scope of surrounding structures. The council’s action seeks to close those exemptions, which currently allow homeowners to build larger residences if, for example, green building elements are included. City Councilman Paul Koretz, who pushed for the changes, complained at Tuesday’s meeting about the “explosion” of “out-of-scale development” in his district, which includes Encino, Beverlywood and Carthay Square. California RSOL Leads Successful Protest in Carson (CA RSOL - link): California RSOL led a successful protest in Carson, which included a diverse group of about 50 registered citizens, family members and supporters. 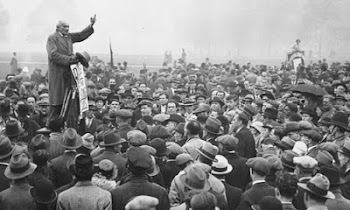 It is believed to be the first protest of registered citizens in the nation. The Carson protest focused upon a city law that prohibits registered citizens from loitering in or within 300 feet of public places such as libraries, parks and swimming pools as well as private places such as restaurants that have children’s playgrounds. The City of Carson agreed to revise its ordinance in a settlement agreement reached on July 25, 2014, but the City Council later refused to honor the agreement. The City Council recently considered revision of the ordinance during its meeting on March 4, 2015, but decided instead to indefinitely postpone any changes to that ordinance. California has about one year of water stored. Will you ration now? (Los Angeles Times - link): Given the historic low temperatures and snowfalls that pummeled the eastern U.S. this winter, it might be easy to overlook how devastating California's winter was as well. As our “wet” season draws to a close, it is clear that the paltry rain and snowfall have done almost nothing to alleviate epic drought conditions. January was the driest in California since record-keeping began in 1895. Groundwater and snowpack levels are at all-time lows. 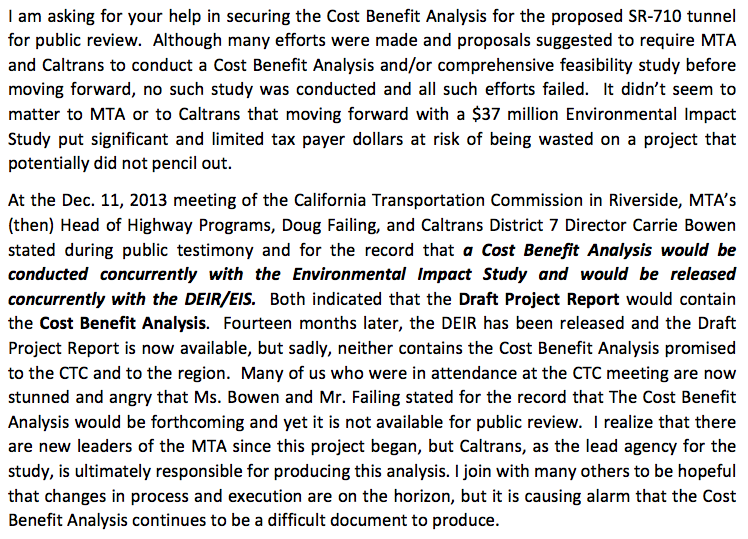 We're not just up a creek without a paddle in California, we're losing the creek too. Data from NASA satellites show that the total amount of water stored in the Sacramento and San Joaquin river basins — that is, all of the snow, river and reservoir water, water in soils and groundwater combined — was 34 million acre-feet below normal in 2014. That loss is nearly 1.5 times the capacity of Lake Mead, America's largest reservoir. Right now the state has only about one year of water supply left in its reservoirs, and our strategic backup supply, groundwater, is rapidly disappearing. California has no contingency plan for a persistent drought like this one (let alone a 20-plus-year mega-drought), except, apparently, staying in emergency mode and praying for rain. 2 Illinois Veterans Force 102 Corrupt Officials to Resign, Place Entire Local Board Under Citizen’s Arrest (Ben Swann.com - link): With four former governors having served time behind bars, Illinois’ government is widely-viewed as being riddled with corruption. However, according to a recent expose by Forbes, two military veterans in Edgar County have begun to fight back and, in just under two years, have drastically cleaned up corruption in their community. In an effort to take back their government from self-serving politicians and bureaucrats, John Kraft and Kirk Allen established a group called the Edgar County Watchdogs. Through a combination of public pressure, Freedom of Information filings, lawsuits, and media exposure, they have created a system that deeply threatens Illinois’ corrupt, entrenched political establishment. They operate a blog called Illinois Leaks that exposes corruption at the state and local levels. Considering the fact that, according to Forbes, their home county’s government has racked up over $79 million in debt all on its own while serving only 18,000 residents, Kraft and Allen have their work cut out for them. Despite an uphill battle, the anti-corruption twosome have been surprisingly successful. By doggedly pursuing justice for even the smallest infractions by bureaucrats and politicians, the Edgar County Watchdogs have driven 102 public officials to resign from their posts, including 33 officials in Edgar County alone. The pair busted the mayor of Redmond for attempting to hold office while living out of town. They represented themselves in court and beat Illinois Assistant Attorney General Emma Steimel in a lawsuit seeking access to state emails. Officials who have resigned due to the Watchdogs’ efforts include a property tax assessor, the Edgar County board chairman, an entire airport board and its manager, the attorney for Kansas Township’s fire department, Shiloh’s superintendent of schools, and Effingham’s health department administrator, among others. After they exposed corrupt, illegal, and self-serving spending habits by the Ford-Iroquois County health department, the entire bureaucracy was dissolved. In some cases, federal agents have even stepped in to investigate and issue subpoenas to local officials after receiving tips from Kraft and Allen. 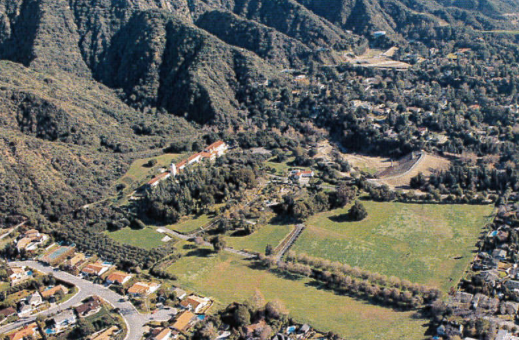 Selling out Arcadia to the highest spec-house bidder: Editorial (Pasadena Star News - link): Arcadia seems determined to sell its ranch-house soul for an endless sprawl of McMansions bulging out of a fixed sea of concrete. And it’s not just the single-story, wood-sided ranches, which have defined the overall look of the former “Community of Homes” for generations, that will soon all be razed to the ground. Just as it allowed Elias “Lucky” Baldwin’s daughter Anita’s extraordinary estate Anoakia, with its stained-glass windows by Tiffany depicting the city’s iconic pea fowl, to be torn to the ground, so have the toothless powers that be now voted to get rid of one of Arcadia’s few Mid-Century Modern masterpieces by Miesian Pasadena architect John Galbraith. Is there nothing, in the City Council’s and staff’s eyes, worth saving in what was once as attractive a suburban idyll as exists — the namesake of the Grecian “unspoiled harmonious wilderness”? Though it is just the latest example of an endless farce of serving mammon above all else, the Arcadia City Council majority once again this month voted to override the Arcadia Highlands Homeowners Association’s Architectural Review Board and the wishes of most of the neighboring homeowners by telling developers it’s OK to tear down appropriately scaled houses in favor of bloated monsters. To his full credit, only Councilman Gary Kovacic dissented, twice; to his half-credit, Councilman Tom Beck voted to save what he termed the “historic treasure” that was the Galbraith. The rest of the council frankly don’t give a damn. Mod: With the exception of both the City Council and Attorney, nobody really knows what went down with all of that behind closed doors legal stuff Tuesday evening. Which was also the lion's share of the meeting's festivities. But that isn't really a bad thing. When you are in an all out war with both developers and their ax wielding lawyers like Sierra Madre is right now, you are not going to want to start giving out all of your big secrets. The enemy will just turn them around and use your own words to beat you. Which is why even under the Brown Act meetings with the City Attorney are held in private. Otherwise small cities like the Foothill Village would be pretty much legally defenseless. I'm sure that is not how people want these things to go. But other interesting things did happen, and can be talked about. Though I am sure some might wish we weren't going there. 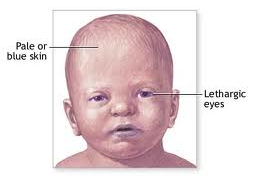 Remember, it was just a year ago that people (including City Hall) were talking about topics like Nitrification and something called "Blue Baby Syndrome." We wrote about that three times here last June. It was a big deal. Here is how this is explained in an article called Chloramines - The Good & The Bad (link). Which, of course, is all tied in with that yellow water Gary Hood brought with him to Tuesday's meeting. Think of it as the equally yellow canary in the mine. There is a real possibility that nothing that much has changed since last summer, and as the hot weather returns, so will yellow water and the potential for nitrification. Bruce Inman has been indicating that since nobody has complained lately, then the problem must have gone away. But it hasn't really. Winter is over and yellow water now appears to be on its way back. People need to e-mail Bruce and let him know if their water is still discolored. Be sure to copy the City Council as well. They should be in on this conversation. Apparently if nobody complains, then the water is just fine. Members of the City Council were quite upset to hear the City Manager state that the final version of the General Plan would not be finished until July. This after they had been told previously that it would be finished up next month. The reason city by Elaine for the change being, with the departure of certain key personnel, the resources to complete this venerable project were just not available. That plus City Staff is very busy already. John Capoccia was particularly unhappy to hear this, and reminded Elaine that she had been instructed to go out and hire any additional resources needed so everything would be ready for April. Elaine replied by pointing out the extra time and effort that would have been needed to train new people to do this work. Something that left some Councilmembers feeling a little exasperated. Did I tell you City Staff is very busy? A little piece of unfortunate history has now finally come to a bitter end. We're talking about the better part of a decade here, all the way back to the Greg Galletly/Dorn Platz days. And, may I add, with nothing ever getting built at One Carter, even under what were some rather favorable terms. Should CETT wish to go forward now with their plans to McMansion up the hillsides, they will now be forced to follow all of those bothersome HMZ and R1 ordinances. 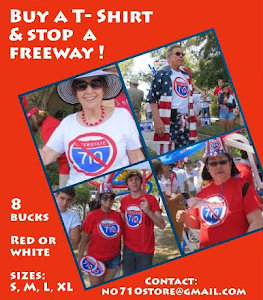 Another piece of former Mayor Nancy Walsh's fading legacy is now gone. Membership in this organization costs money, yet there apparently was no return on our investment. The City Manger noted that staff had unfortunately been way too busy lately to take advantage of what the San Gabriel Valley Economic Partnership has to offer. Perhaps the possible benefits were oversold when our association with them first began. Certainly no new businesses arrived in town because of the SGVEP. Apparently the only thing the SGVEP really did have for Sierra Madre officialdom was the opportunity to network with businesspeople and talk to government officials from other places. Oh, and attend buffets with open bars. The skinny on this one is it was approved about two years ago. Permits had been cut and the only thing left was this formality. 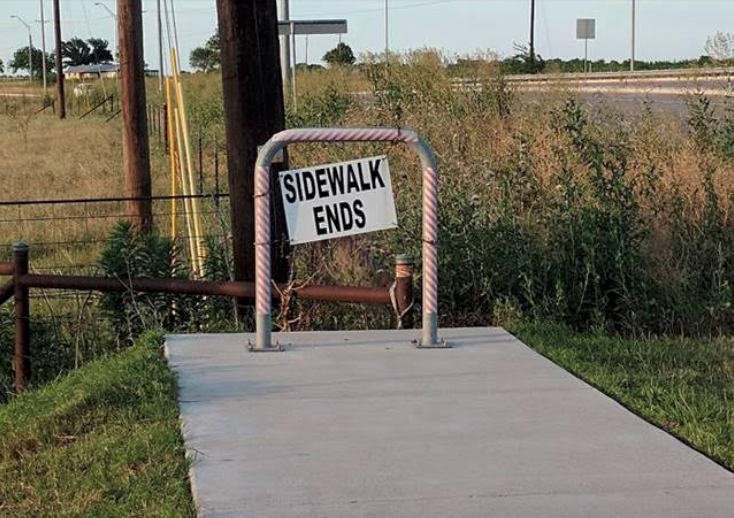 There was nothing the City Council could do but ole' this one through. This was approved. None of the money will come out of the General Fund, rather it was all raised through donations and benefit events. Personally, I think the purpose of this assessment will be to show that the condition of the Library is a little funky, and therefore that parcel tax the Mayor has proposed to help the place out really will need to be put to a popular vote. I guess we could call it consensus building. 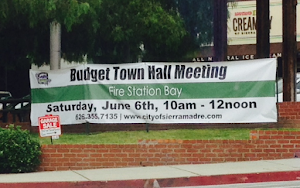 2016 could be a big year for tax raising efforts in Sierra Madre. This one comes to us from Valley Public Radio out of Bakersfield. Kern County Could Explore Privatizing Public Libraries - In Kern County, the state’s leader when it comes to oil production, the industry not only drives the local economy, it also helps drive the county’s general fund. That’s because the county’s assessor puts a value on all of the oil that remains deep underground, and uses that figure when it comes time to collect property taxes. When the price of oil goes up, county revenues soar. But when the price of oil goes down, officials are left scrambling to cover the shortfall. Leticia Perez is a member of the board of supervisors. She says the recent drop in oil prices could cost the county as much as $60 million next year. One of the budgets that’s been under pressure in recent years has been the one for the Kern County Library. Many branches are only open two or three days a week and two-thirds of libraries lack wifi. And unlike many counties, the Kern County library system is almost entirely reliant on money from the county’s general fund. Mod: When government officials get caught doing stupid things, it is of interest to us all. Bringing the mighty down to the level of their actual deeds is an enjoyable way to spend some time, and we heartily endorse that kind of activity. And this particular instance is a real doozy. Can't get enough of it, actually. This Steve Scauzillo penned piece ran in yesterday's paper. If you didn't get a chance to catch it then, here is a small portion of it. To check all of it out on the Pasadena Star News website (and you really need to do that), click here. Just awesome. 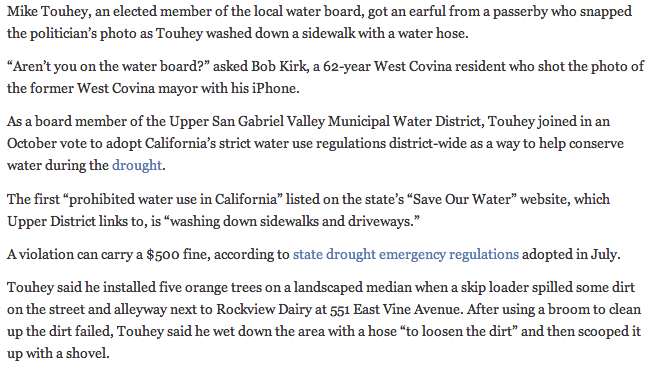 So you know, before moving on to his important water board duties Mike Touhey was on the West Covina City Council for 16 years, and also served as Mayor (link). Here's hoping that Waterwise Owl does a fly-by on 2-Hee's head. 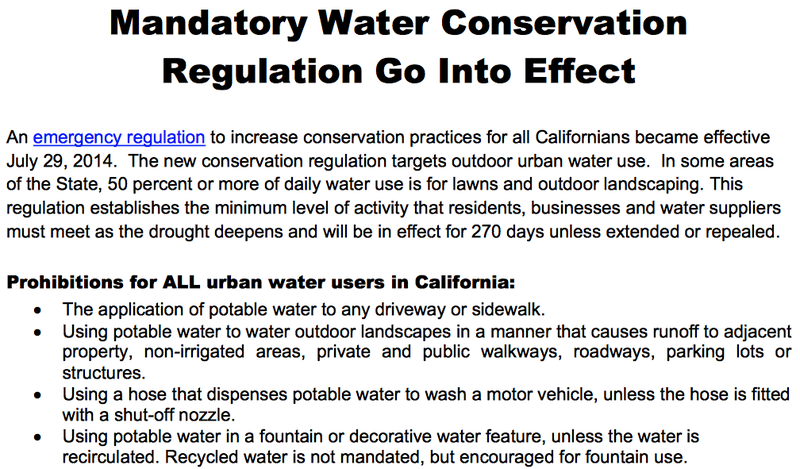 Last October the Center for Investigative Reporting ran a piece called "California water officials aren’t following own call for conservation," which you can link to here. Partially penned by Lance Williams (the journalist who broke the news about our very own Susan Henderson back in the 1990s, and Chris Holden more recently), it shares some embarrassing details about all sorts of water officials who seem to believe they don't have to walk the same kind of walk you do. Pretty good stuff. These guys think they're just above it all. Did City Hall screw up some closed session meeting noticing? Very mysterious. Now this caught the eye of a Tattler reader, who then made the following two comments. The first is the original, and the second is a clarification that became necessary when somebody asked our dauntless commenter if he (or she) thought they were a "legal genius." 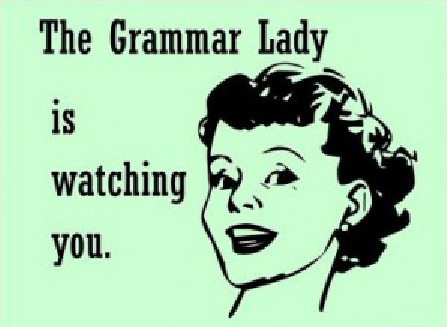 Which he/she could be. You just never know who is going to show up on The Tattler. Being a curious person, I decided to check up on this. 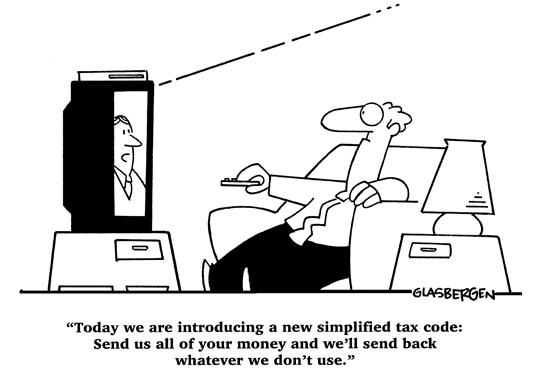 Here is what Government Code Sections 54956.9(b) and (e)(1) have to say about this (link). 54956.9. (a) Nothing in this chapter shall be construed to prevent a legislative body of a local agency, based on advice of its legal counsel, from holding a closed session to confer with, or receive advice from, its legal counsel regarding pending litigation when discussion in open session concerning those matters would prejudice the position of the local agency in the litigation. (b) For purposes of this chapter, all expressions of the lawyer-client privilege other than those provided in this section are hereby abrogated. This section is the exclusive expression of the lawyer-client privilege for purposes of conducting closed-session meetings pursuant to this chapter. 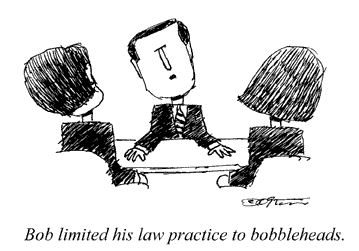 (1) Litigation, to which the local agency is a party, has been initiated formally. (2) A point has been reached where, in the opinion of the legislative body of the local agency on the advice of its legal counsel, based on existing facts and circumstances, there is a significant exposure to litigation against the local agency. (3) Based on existing facts and circumstances, the legislative body of the local agency is meeting only to decide whether a closed session is authorized pursuant to paragraph (2). 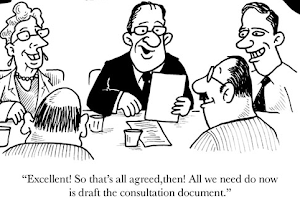 (1) Facts and circumstances that might result in litigation against the local agency but which the local agency believes are not yet known to a potential plaintiff or plaintiffs, which facts and circumstances need not be disclosed. It does look to me that a sensitive piece of legal information has been put into jeopardy of unwanted exposure by somebody's inability to get those little letters and numbers in the parentheses correct. Anybody interested in filing a Public Records Act request and see what happens? It just might be something interesting. Dapeer, Rosenblit & Litvak, LLP is comprised of a dedicated group of ten litigators emphasizing the resolution and trial of business, real estate, municipal law, land use law, professional liability and related matters. A time-tested approach of meticulous analysis, careful planning and excellent execution has resulted in consistent successful performance on behalf of the firm's clients. While settlement is at all times sought, it is the philosophy of the firm's principals that the willingness and readiness to proceed to trial are the most effective method of securing above average settlements and judgments. Excellent client communication and involvement round out the successful approach used by the firm. The firm has extensive experience in representing business entities, both public and private, successful individuals and governmental agencies. That "willingness and readiness to proceed to trial" line could be telling. My apologies, but I could neither go nor watch last night. I'll be tracking down some info today and posting it tomorrow. Most of it was held in closed session as you know, so there might not be a whole lot to report. This is probably one of the more unusual City Council meetings to come along in quite some time. Rather than having the closed session with the City Attorney at the beginning of the meeting, that portion of this evening's activities has been moved all the way to the end. So what is the reasoning behind this? Trouble, and apparently lots of it. There are quite a few legal threats now lining up against the city. Some threatened, some quite real. Tonight there are 5 of them up for grabs. 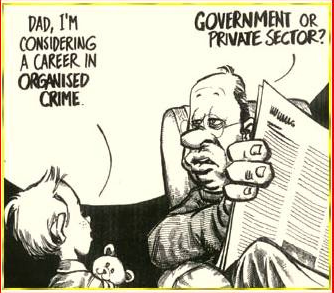 Most having to do with development, which is where the real money is. And it's always about money. Now I have been told by one City Councilmember that City Attorney Teresa Highsmith is very dedicated to the preservation of Sierra Madre. And that Teresa sees this as some of the most important work she's ever done for the Foothill Village. Proof that hope can come from many different quarters, I guess. So who am I to doubt any of that? 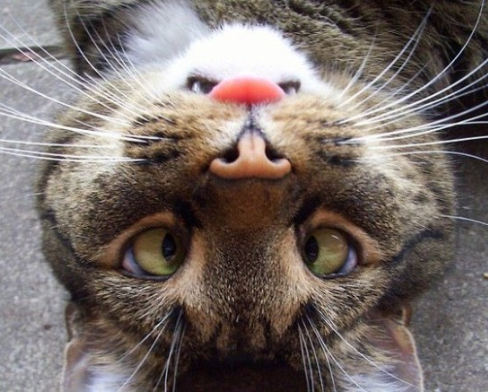 The world has been turned upside down, after all. Somebody is going to have to seize the burning legal sword, raise it flaming into the sky and rescue the villagers. Do you have any better candidates at this point? Out of that original list of 5 items only the Strategic Plan Update and Turf Removal Program now remain. In other words, 3 full discussion items were bumped out of the agenda to make certain there is time enough for all of the legal issues that need to be discussed in closed session at the end of the public portion of this meeting. Here is the list of those closed session items. This is most likely the Hildreth case. Jeff and Taryn spoke at the previous City Council meeting, and explained to all seated at the dais that once next month's trial is over the full reasoning behind their legal strategy will become clear and even sympathetic. If I may throw my two cents in here, why is it the city fought tooth and nail, and at considerable legal expense, against a guy who dug himself a very large basement, yet with the wave of a $1.00 pen gave approval to an aggressive out of area developer to build those completely out of character mutant eyesores on Camillo Road? I am not sure I see the balance in this. This, of course, is a result of the thwarted demolition of the historic Henry A. Darling home on East Montecito. Along with a suspected accompanying lot split as well. We've discussed this one a few times in the past, and at length. But it is a good indication of just how badly some "development at all cost" minded people plan to make a lot of money here. 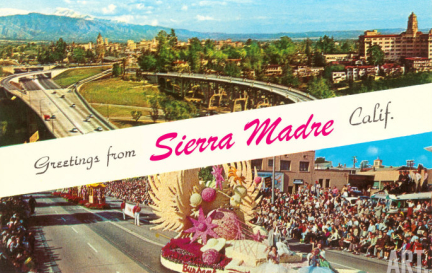 Sierra Madre is widely perceived as a place where you can make a killing at this sort of thing, but you'll need to break down the city's resistance first. That people are willing to go to the legal wall so hard and get it is a clear indication of just how much cash there is to be made building new houses here. Your guess is as good as mine. Maybe they're sue-bots not yet awakened from hibernation yet. That this one is wedged in with all of those other legal issues comes as no surprise. 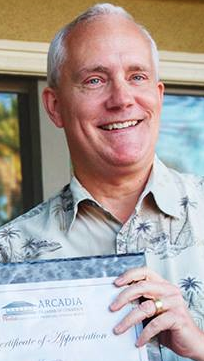 The Sierra Madre Police Association has long been among the most litigious unions of its kind. And with the City's apparent move towards yet another round of UUT ballot advocacy, the SMPA could be making certain that their interests are made clear. 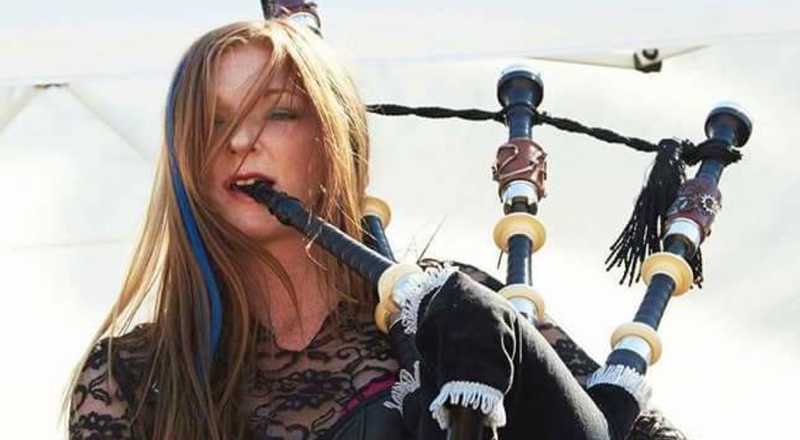 As you may recall, it was not too long ago that in a letter to Leticia Cardoso and Elaine Aguilar the attorney for the developer, Richard McDonald, stated that litigation had never been a part of CETT's strategy. After obtaining McDonald's letter in a PRA request, I posted it here on January 17 of this year (link). Fourth, and lastly, since we have repeatedly denied that we threatened any litigation over this matter at any time, and in fact have not done so, please inform them that we regard the closed sessions with the PC and Council on this matter under the rubric of such a threat as a violation of the Brown Act. we, therefore, request that such sessions cease immediately. I guess the situation has changed a little. 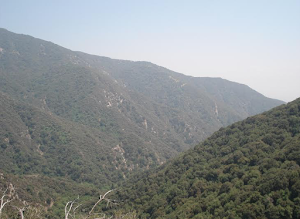 The fight to preserve Sierra Madre from predatory overdevelopment may now be going beyond residents asking their City Council to do the right thing. With the next round of battles moving us right into the Courts. The good news is that, with the possible exception of the Hildreth case, this could all take years. Something that would at least temporarily stop the mad rush to predatory development. The bad news is this could cost the taxpayers some dough. Plus a huge increase in the City's lawsuit insurance costs. Especially if City Attorney Highsmith doesn't run the table and win them all. 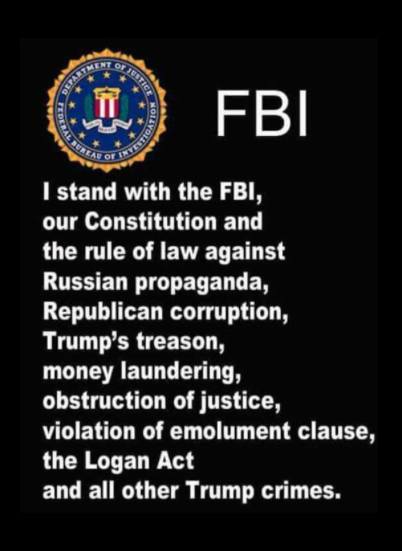 There are a couple of other items on the agenda, but not that much. The demolition permit question will finally resolve. Plus the City of Sierra Madre could be saving a couple of bucks and pulling out of the San Gabriel Valley Economic Partnership. 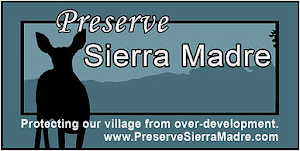 Which makes sense since they have done very little for Sierra Madre as far as bringing any new business here. There is going to be quite a City Council meeting tonight. But none of us are going to see it. 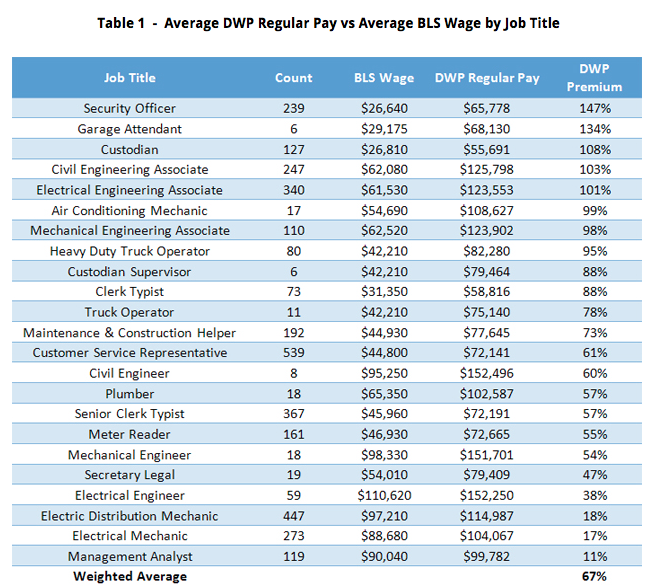 City Report Confirms LADWP Pay Highest Among Peers Both Regionally and Nationwide (link): Phase I of a comprehensive benchmarking report on the LADWP was just released. 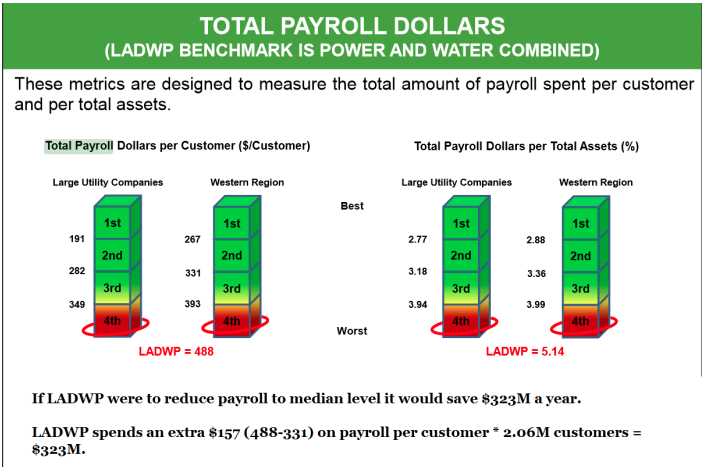 The report itself confirmed a few things most ratepayers already know – that the LADWP’s payroll costs are dramatically higher than that of their peers, and their customer service is quite poor. Several immediate action items were recommended, the first being recommendations to improve customer service. The others were focused on two additional areas the LADWP placed last in – high amounts of electricity lost in transit and lost revenue due to an inability to collect unpaid debts. The report found positives too. While rates are very high on a national scale, they are in line with their regional counterparts. Obviously, the proposed rate increases in the coming years will impact this ranking. Reliability scored well and total costs were in the 2nd quartile compared to their peers, thanks to savings in areas such as in customer service and generation. Unfortunately, the Mayor’s Office press release announcing the findings of this report appeared more concerned with highlighting the good, while omitting the bad. In fact, the release states that the LADWP ranked in the 1st quartile in operating costs, when in fact they were ranked in the 2nd. Not a word was devoted to their bottom scores in the items mentioned above or the enormous savings that could come from payroll reductions to a level that would match that of their peers. As seen in the image below (bottom text is my own) if the LADWP were merely to reduce payroll expenditures to be in line with other utilities, let alone the massive savings from reducing pay to the market avg, they would save over $320M a year. This is troublesome because it would suggest that the Mayor’s Office is more concerned with painting the LADWP in a positive light, as opposed to acting in the best interest of the ratepayers. Particularly given future rate increases are planned as early as this spring, ratepayers are in desperate need of an advocate that acknowledges these rate increases are mostly to support excessive LADWP pay. Naturally, pay reductions should occur for all LADWP employees to a level that is less obscene when compared to their LA area counterpart. For example, the average customer service rep’s pay could be reduced to “only” 40% above the market average of $60k a year, as opposed to the current $72k avg. Given the LADWP is overweight in the administrative sector and underweight in the customer service department, this would allow for both an improvement of operations and savings for the ratepayers at the same time by reducing administrative staff and replacing them with the less expensive, and more needed, customer service reps. While it is likely an increase in hiring for customer service reps will occur, a reduction in pay or total administrative staff will be much more difficult. Unfortunately, this is exactly what is needed to reduce the growing burden on ratepayers – who need to make sure their interests are being put first by City Hall. 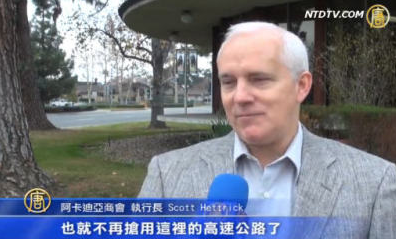 Why is Arcadia Chamber Prexy Scott Hettrick Getting So Snotty With the Save the Arcadia Highlands Folks? Every city has their full quota of windy establishment types. 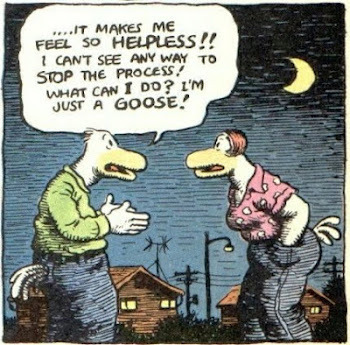 People who honk noisily in defense of any favored fat cats or special interests not being treated with proper deference to their mightiness by mere townies. And apparently Scott Hettrick is one of those folks who is assured he numbers among the local elite. 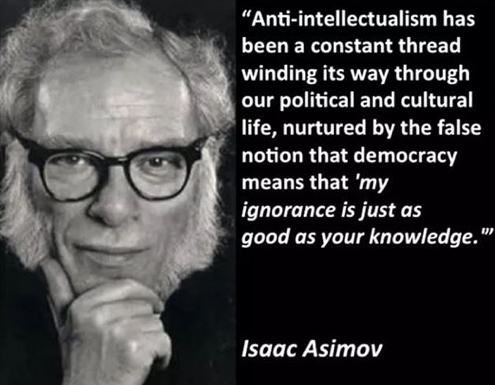 So much so that he shows no hesitation in being quite snotty to those daring to hold opinions he doesn't appreciate. Or that his gazillionaire imported patrons find inconvenient. Apparently for Arcadia's omnipresent Chamber of Commerce bossman Large House Hettrick, civic correctness and the money you have in your bank account are pretty much one and the same thing. Any truly democratic exchange of opinions can be easily damned, and only submission to the oligarchic prerequisites of pay to play government and those who write them the biggest checks are to be taken with any seriousness. Power and politics in Arcadia having now become little more than a cash and carry based business. If you turn to the kinda mediocre blog Hettrick writes for, the oxymoronically monikered "Arcadia's Best" (link), you'll witness the Arcadia Chamber of Commerce's foremost indignant person getting quite unpleasant with the folks attempting to preserve the Arcadia Highlands. 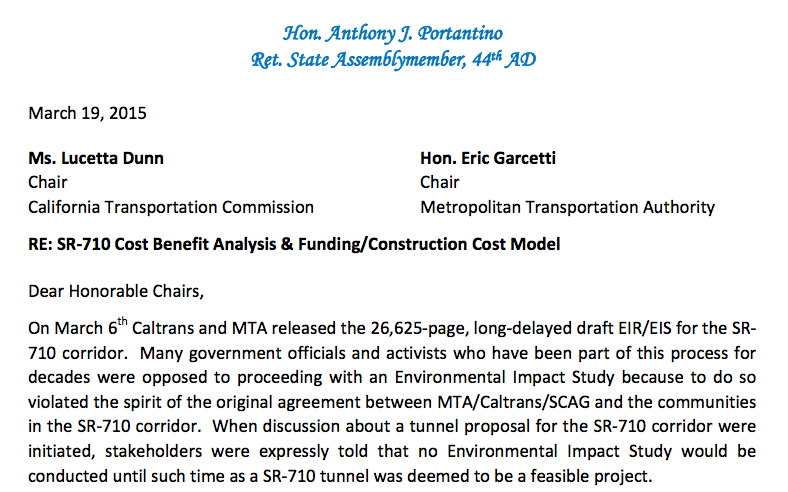 Their crime being to dare and question some of the City of Arcadia's more outrageous planning decisions. Especially the decisions approving the building of those two recent examples of out of place nouveau-riche McMansion doofus housing in the Arcadia Highlands. It would seem that in Hettrick's mind money is mightiest no matter where it comes from, and that anyone with some big bank and little regard for others should be allowed to freely walk all over a community of folks who have called Arcadia home for most of their lives. The residents of The Highlands might be property owners, but apparently in the eyes of city government and Scott Hettrick, they still need to be slapped down. 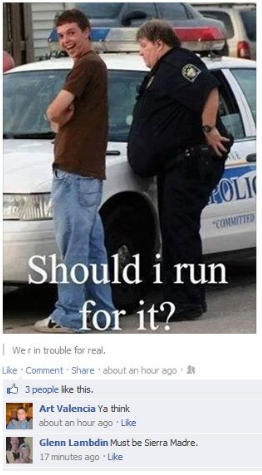 In the name of property owner rights, of course. Since they could not get their way in stopping the razing of two homes on big lots – a 74 year-old home at 29 E. Orange Grove Avenue and a 59 year-old domicile at 1600 Highland Oaks Drive — that would be replaced with two homes of two-to-three times the size built by Robert Tong and Bowden Development, now the residents calling themselves by a group named Save the Arcadia Highlands are trying another angle: a class-action lawsuit filed March 12 against the City of Arcadia claiming that the new homes should not be built because they would be environmentally unfriendly. - Vast tracts of land must be deforested in order to build unnecessarily large homes, threatening wildlife and reducing the biological absorption of greenhouse gasses. The math is startling: roughly 408 trees of 20-inch diameter and 42 feet of usable wood are required to build an 8,000-square-foot house (according to the Idaho Forest Products Commission), and for every 10 such homes that are built, more than 7 acres of forest must be cleared (assuming 9-foot by 9-foot tree spacing, according to a formula by the University of Georgia). - Concrete is required to make foundations, which are correspondingly large in "McMansions." Concrete production consumes energy and contributes to greenhouse gas emissions. - Inordinately high energy consumption is another drawback. While they may be grand looking, the high ceilings and huge foyers are difficult to heat and cool. Indoor pools, exercise rooms and living spaces with elevated ceilings all contribute to the need to construct power plants and increase dependency on fossil fuels. - Toxic building materials, such as some types of paint and vinyl, are used in greater quantities than are required in typical homes. According to the Environmental Protection Agency, vapors or volatile organic compounds in paint can cause serious health problems. Hettrick also snarks evasively about the now widely held notion that some of Arcadia's city officials, those who are making the actual decisions on McMansion building in The Highlands, have also been the lucky recipients of bumping cash money donations from inappropriately generous developers around campaign time. The Save the Arcadia Highlands web site, says they are “beginning to take the necessary steps to recall” Mayor John Wuo and Council Member Roger Chandler and “any other members that we discover have ties to real estate developers or investors in Arcadia.” The site goes on to cite some facts about a real estate company owned by Wuo and campaign contributions received by Chandler from development and real estate companies. It also does the same with Council Member Sho Tay before proceeding to make personal and credibility attacks against all three. Of course, Hettrick doesn't want to go into much detail on that, only to say that those making the charges have said things that he perceives as being indecorous. 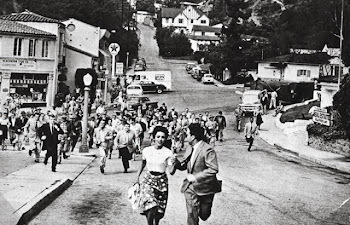 As Sierra Madre has seen often, the "civility defense" is usually the last refuge of scoundrels. Yes, there is that little matter of foreign McMansion development related interests attempting to fly about half of Arcadia's city government to China for a little Beijing home office lowdown. Chow with Mao. Something that the City Council in Arcadia was later forced to back off of, and even returned the $30,000 big ones given to them by some rather suspect parties. It’s a good thing that Arcadia’s city fathers, perhaps a few mothers, have canceled plans for a junket to China paid for in part with $30,000 in donations from Chinese developers and local firms with ties to China. But in this case, for there to be a good thing now, there had to be a bad thing then — which is just a couple of weeks ago. And it was such a terrible idea in the first place, with so many City Council members and senior City Hall staffers showing they have tin ears for how this would sound to the public, that it makes me wonder how such a case of mass hysteria could affect the civic leaders of our sylvan little suburb. Remember when Arcadia’s motto was “Community of Homes”? 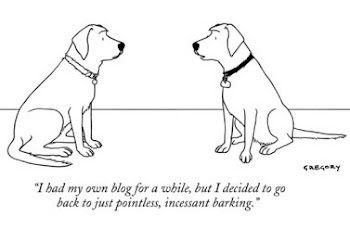 A little prosaic, but true enough. Remember when Arcadia real estate sales contracts included a covenant mandating that the buyer was a white Protestant? That was technically the case until 1965. Now the city is 60 percent Asian. And, no, the motto was not been changed, officially at least, to “Community of McMansions.” But since the mansionization of the formerly ranch house-happy town is easily the biggest civic controversy there, with much of the tear-downs and consequent building out to the lot lines being paid for by Chinese nationals and corporations, it didn’t take a politician with his ear very close to the ground to hear that there might be a kerfuffle over the big cash infusion aimed at paying for the China trip. Yeah, I'd vote to recall them, too. Wouldn't you? 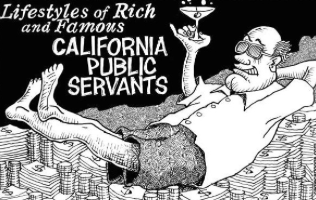 In a city that is considered so prosperous and with some of the highest property values in a region that ranks amongst the nation’s highest – so high that State Treasurer John Chiang said last Friday that he could not afford to live in Arcadia and has to settle for South Bay — it’s ironic that on a website created by residences living in an area long considered the wealthiest part of town, the most prominent feature is a bright red button at the top center asking for donations. For our current favorite Arcadia Chamber of Commerce president, this all boils down to the needs of significantly financed development interests. The privileging of their wants over the rights of taxpaying residents to participate and make meaningful contributions to the planning of their own community. You might be a homeowner in Arcadia, but if some big out of area development outfit with plenty of laundered loot to lavish on Arcadia's City Council comes around? Get out of the way because here come the bulldozers. Your rights no longer exist. I also wonder if Hettrick intentionally meant to point out that the one part of Arcadia still predominantly made up of ranch homes is also its wealthiest. Is he actually claiming that the McMansion developers attempting to crack the Highlands are victims? 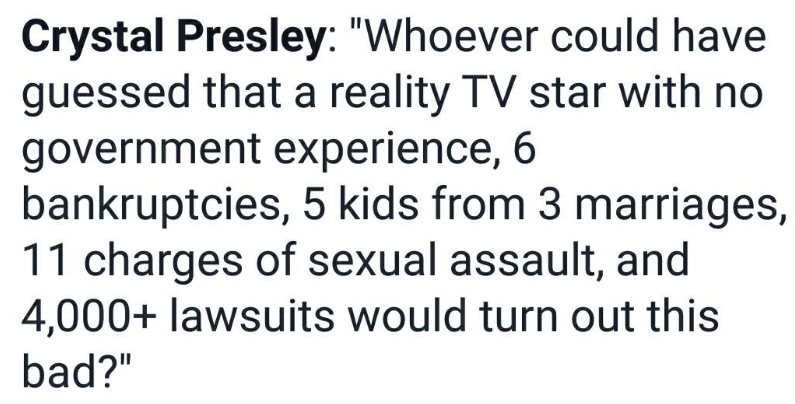 Lawsuits cost a lost of money, of course. And should you want to help out the Save the Arcadia Highlands group, you can push that bright red button here. Tell them Scott Hettrick sent you. But not in quite the way he'd intended.